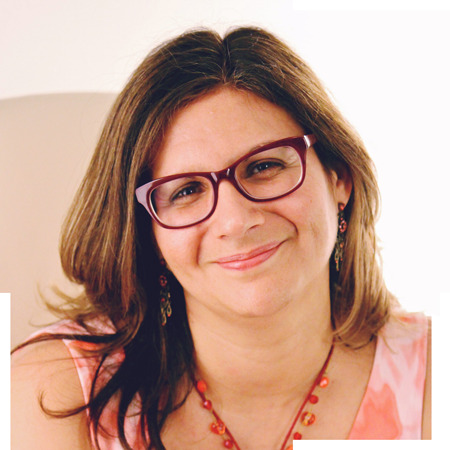 Dr. Nerina Garcia-Arcement is a licensed bilingual clinical psychologist and owner of Williamsburg Therapy + Wellness. Dr. Nerina Garcia-Arcement earned a Bachelor of Arts degree in Psychology from Stanford University, studied abroad at Oxford University and earned a Master’s and Doctorate in Clinical Psychology from Fordham University. Her clinical training spanned a variety of specialties at Bellevue Hospital Center, North Central Bronx Hospital and Jacobi Medical Center in New York City. Clinical Rotations included working in adult inpatient and outpatient clinics, a child psychiatric emergency room, child and family outpatient clinics, and a chronic medical illnesses/rehabilitation unit. She trained in harm reduction therapy for substance abusers, provided couples therapy, and worked with ethnic minorities and survivors of trauma and loss. As a licensed psychologist, Dr. Garcia-Arcement’s work experience includes providing individual, couples and group therapy at Bellevue Hospital Center’s WTC EHC Mental Health Program with individuals affected by the 9/11 terrorist attacks before establishing her private practice. While at Bellevue Hospital she supervised psychology interns and externs, social work interns, psychiatry residents, mental health counselors and licensure-eligible psychologists. She held a faculty appointment at NYU School of Medicine and provided clinical supervision in Cognitive Behavioral Therapy (CBT) to psychiatry residents and psychology interns until June, 2013. She consulted with the Children’s Health Fund, offering trauma and stress management seminars/workshops to parents, teachers and first responders impacted by Hurricane Sandy in Gerritsen Beach, N.Y., and in Brick, N.J.
As part of her professional and scholarly development, Dr. Garcia-Arcement taught undergraduate courses at Fordham University. She conducted clinical research at Bellevue Hospital, Montefiore Medical Center, Fordham University, Rockefeller University, Sloan-Kettering Medical Center, Albert Einstein College of Medicine, Stanford University, and University of California, Riverside. Research topics included Desire for Death/Assisted Suicide in chronically ill patients (i.e., AIDS, Cancer), Differential Predictors of Subjective Well-being (Happiness), Conceptual Models of Depression in Primary Care Patients, and Persistent PTSD symptoms among community members seeking care for World Trade Center disaster-related medical conditions. In therapy you work collaboratively as partners to identify and explore areas of personal growth and changes you would like to make. The focus will be on identifying which life experiences and transitions are causing difficulties in your social, professional, academic, interpersonal or romantic life and implementing a plan to achieve the solutions or balance you seek. Using a combination of CBT and insight-oriented/psychodynamic techniques the therapy partnership helps you to distinguish current problems, develop individualized strategies to ease your stress, and gain insight into your patterns in behavior. Self-exploration opens avenues to understanding the way you think and act, shedding light on behaviors that may have worked in the past but no longer are effective. Dr. Garcia-Arcement’s approach includes incorporating mindfulness techniques, imagery, relaxation exercises, meditation, diaphragmatic and coherent breathing to teach you how to better manage and reduce stress. By introducing these techniques into sessions as appropriate, you are encouraged to develop and incorporate them into your daily life as you discover your personal paths to wellness.